Just about anyone can get traffic to their website these days. But turning that traffic into paying customers? That’s a whole different game, and that game centers on landing page creation. 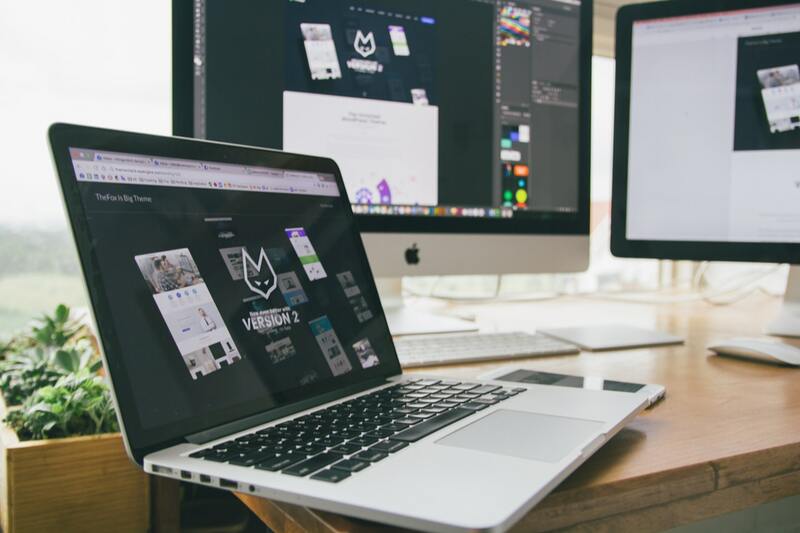 While websites are excellent (and invaluable) tools for most businesses, they typically lack the layout and the features required to convert visitors into customers. Landing pages, on the other hand, are highly-focused tools designed to move users through your funnel, one step at a time. Businesses with more than 40 landing pages produced 12 times more leads than those with only 1 – 5 landing pages. Long landing pages can generate up to 220% more leads than shorter ones. While most businesses only convert about 2-3% of landing page traffic, top businesses see conversion rates of 10% or higher. A mix of great visuals (video, images, and graphics) is essential to successful landing pages. The majority of consumers use video to inform their decisions at each stage of the buyer’s journey, and since videos are processed by the brain 60,000 times faster than text, it’s no wonder consumers will often click before they’ll read. We’ve rounded up the 14 best landing page builders of 2018 so you can start capturing leads and converting prospects into customers. Note: they’re ordered from simplest to most robust, so you can scroll to the degree of complexity or customization you’re hoping to find in a landing page creator — and get started right away. For marketers looking to maximize results, Unbounce – the “conversion platform for marketers” – makes it a cinch a/b test versions of your landing pages to help you capture the most leads from your site. Price: The entry-level Essential plan is $79/mo. 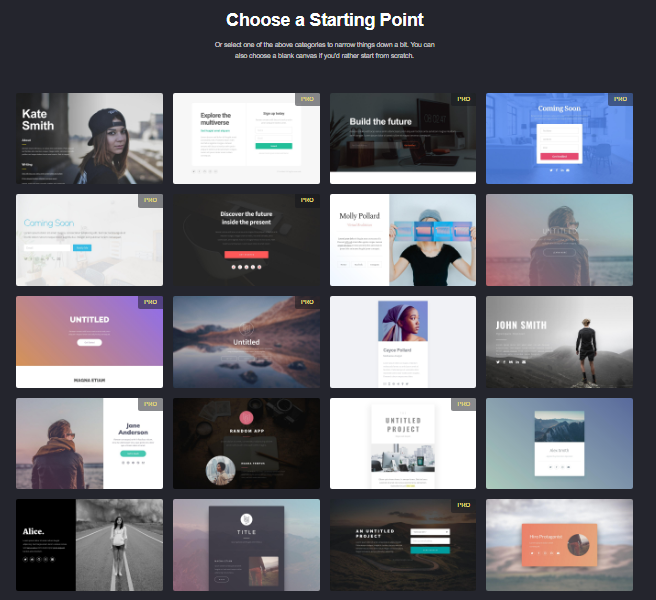 With over 60 modern templates to start with and a simple drag-and-drop builder, Carrd will get your landing page up and running quickly. Price: Standard plan is free. Pro plans start at only $19/year. Simple and straightforward, Ucraft boasts landing page creation in less than ten minutes — providing the perfect solution for the busy entrepreneur or startup. Templates are sleek, responsive, and categorized by industry, so you’re sure to find one that fits your needs. Price: Standard plan is free. Paid plans start at $6/month. This builder walks you through each step, prompting you to enter a title, a logo, headings, visuals, and more. Lauchaco is great if you’re not sure what you want to say, or you want to get something sleek published very quickly. Price: Standard plan is free. Premium plan is $50/year. Though it’s not explicitly designed for landing page creation, Google Sites offers all of the same features as a typical website builder — from drag-and-drop building to mobile display testing. This tool has over 160 mobile-responsive templates to start with, with the option to add checkout boxes and other popups. Price: Free trial with plans starting at $25/month. Instapage could be considered the ultimate landing page tool, with everything from a drag-and-drop builder to team collaboration and optimization capabilities. Price: 14-day free trial with plans starting at $69/month. Leadsius includes helpful marketing features like lead tracking, form embedding, and SEO tools. You can also bring in your own developer with the HTML design feature. Price: The standard plan is free, and the premium plan is $45/month. Whether you’re a product or service, eCommerce store or individual with a portfolio to share, Lander has a template for you. Price: 14-day free trial with plans starting at $49/month. Use one of Pagewiz’s many templates (which the company claims to have tested for optimal design, resulting in more conversions for you). You can also create a custom landing page on your own. Manage lead data and conversions within the Pagewiz interface, as well. Price: Basic plan is $29/month. Pro is $199/month. 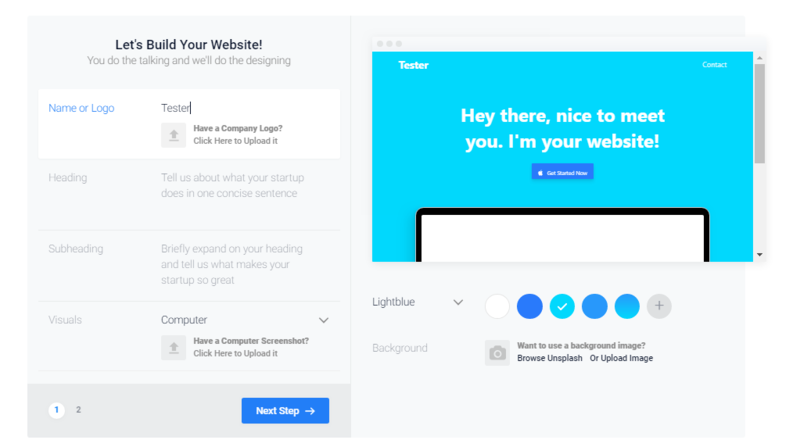 Designed primarily for contests and sweepstakes, this landing page builder has tons of options for customization, including the option to include custom code in your design. This tool also offers A/B testing and analytics so you can monitor the performance of your landing page. Price: Starts with a free trial, then plans begin at $79/month. Wix lets you build anything from a single landing page to a full-on website. It’s known for its ease of use, stylish design, and domain registration and hosting included. In addition, the company’s free plan has all of the features you need to get your landing page live right away. Price: Free, with paid plans starting at $5/month. It’s technically a website-building platform, but with one of the most straightforward and intuitive interfaces out there, it functions fantastically as a landing page builder. Another bonus? If you decide you want to upgrade to a full website (with eCommerce and more) when your product or service takes off, you can do it all within the same platform. Price: 14-day free trial. After that, plans start at $20/month. Landingi has a DIY landing page builder, but also offers a done-for-you service based on a design you provide for them. Their advanced plans offer a suite of other design and marketing tools. Price: Free trial, then plans start at $29/month.